Mexico attracts millions of tourists each year, many of them to the azure waters and white sandy beaches of Cancun and the Riviera Maya. The Yucatan peninsula has so much to offer visitors - beautiful beaches and freshwater cenotes near Tulum, a lively party atmosphere, and spa hotels galore. But have you heard of its colonial history? Did you know that Yucatan haciendas in the 19th century produced more henequen sisal - "green gold" as it was known at the time - than anyplace else in the world? This was of course before the age of synthetic products like plastic and nylon, which all but wiped these haciendas out of business. Just like the agave plantations that still grow the blue agave from which tequila is made, henequen looks similar to agave, and produces the strong, grassy fibers that once made rope and cargo nets for the burgeoning shipping industry. 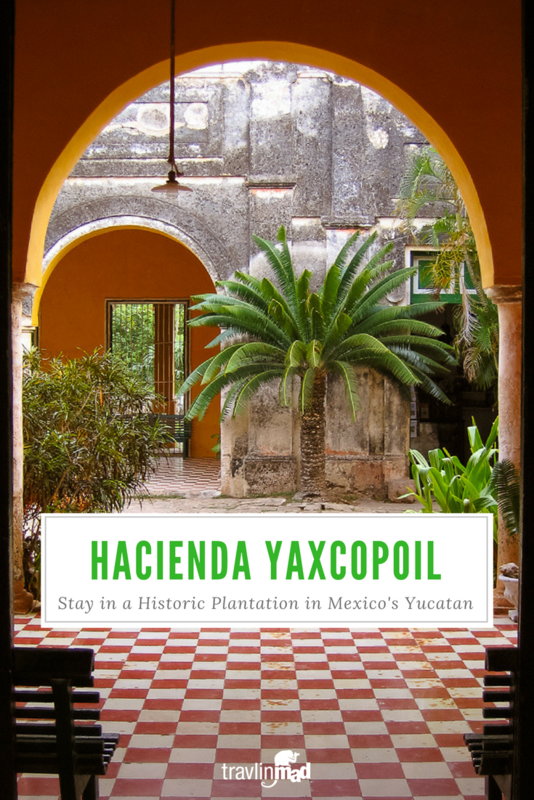 If you're planning a trip to the Yucatan and are looking for something a little more authentic and cultural, head west from Cancun to Merida, and then south to Yaxcopoil (pronounced yash-CO-po-EEL). There's so much of Mexico to see here in the center of the Mayan World or Mundo Maya. Hacienda Yaxcopoil is part of the Hacienda Route south of Merida and is also along the Puuc Route and the Convent Route. It's an excellent base location for exploring the Yucatan or for a casual visit during a longer road trip. Today, many of the Yucatan's historic haciendas have been restored to their former glory, operating as high-end luxury hotels. But one hacienda open to the public still bears the signs of yesteryear. Hacienda Yaxcopoil almost proudly wears the centuries-old patina of a place that time nearly forgot, or forgot to renovate. And that's what makes it so unique and beautiful. Strolling through the hacienda is like stepping back in time - its rooms still arranged in a grand fashion as if the owners would reappear in the room at any moment. Better yet, not only is Yaxcopoil open to the public for tours, visitors can even spend the night in one of just two Guest Rooms. Imagine an entire hacienda - once over 22,000 acres large - all to yourself for an evening! Several years ago, I discovered a random article on the internet about Yaxcopoil before our trip through the Yucatan and we made sure to stop on our way to Tulum. It was a special place to stay. 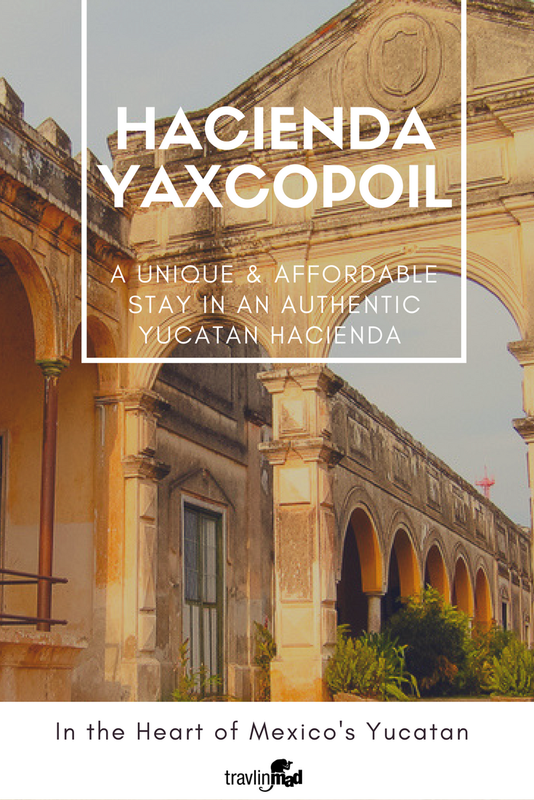 Today, more visitors are discovering the haciendas, but Yaxcopoil is still relatively underexplored. The overnight cost is still under $100 a night, and the experience is unmatched. When we arrived late in the afternoon at Yaxcopoil, an elderly man sitting at a small wooden desk in the large foyer greeted us and showed us to our room. We settled in and then came back for a complimentary tour (since we were guests) after which we gladly gave him the best tip he had all day. Our room was spacious and felt untouched by time. Much of the furniture and decor of the hacienda is original, and the guest rooms are no exception. The floor tiles in our room were colorful and authentic and there was plenty of storage and a sense of privacy despite the unusually high ceilings. Everything was spotless and the creaky double beds were nonetheless pretty comfy. Behind the main hacienda is the original henequen factory, which is open to the public when a guide lets you in. The old machinery and architecture make for an interesting look back at the industrial age. A covered patio off the back of our casita was where we had dinner that night and breakfast the next morning. A local woman named Aurora came to the hacienda that night with the freshest tamales, a spicy salsa, steamed veggies, and fresh watermelon juice. Our breakfast the next morning was equally fresh with huge plates of fresh fruit for each of us, rice, eggs, and fresh coffee and caneloupe juice. Aurora with a heart of gold, is also a wonderful cook! That night as we walked around the main town, we met and chatted with some of the locals on their way to a bull fight, though one man admitted it was "not so much a bull fight, and more like a bull show". Back at the hacienda while the show carried on long into the evening, we laid in bed listening to the cheering crowd in the distance and giggled at how small we felt in the enormous place. This historic hacienda in the middle of the Yucatan was an amazing place. If only these walls could talk. Olé! The Hacienda is located about 33 kilometers or 20 miles (30 minutes) south of Merida, the capital of Yucatan State, on Federal Highway 261, at Kilometer 220.